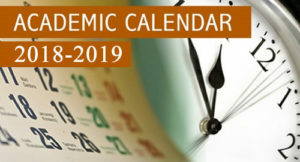 The academic calendar for the 2018-2019 school year is now available online. The first day of the school for students will be August 22, and last day of the school will be May 31. View the calendar – click here.